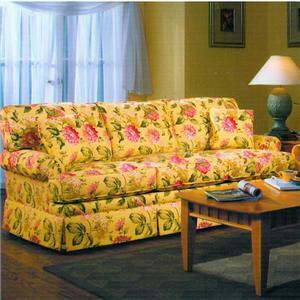 The classic design of this stationary sofa will enhance your family room with traditional design. 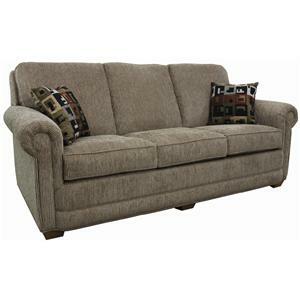 This comfy sofa features a high, tight seat back with slightly winged sides. Classic details include flared rolled arms and a skirted base. 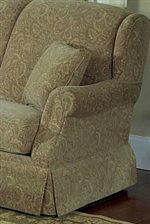 Available in a variety of fabric options, pair this sofa with the coordinating chair for an elegant room setting. 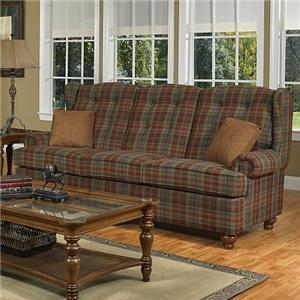 The 5120 Traditional Stationary Sofa with Tight Back and Skirted Base by Lancer at Town and Country Furniture in the Hamburg, Buffalo, Lackawanna, Eden, NY area. Product availability may vary. Contact us for the most current availability on this product.